This book is in Packts Cookbook series. A Packt Cookbook contains recipes for solutions to the most important problems you face when working with a topic. Inside the Cookbook you will find: A straightforward and easy to follow format, A selection of the most important tasks and problems, Carefully organized instructions for solving the problem efficiently, Clear explanations of what you did, Details for applying the solution to other situations.This book is for PHP developers who have spent time attempting to extend or customize Joomla with PHP code. 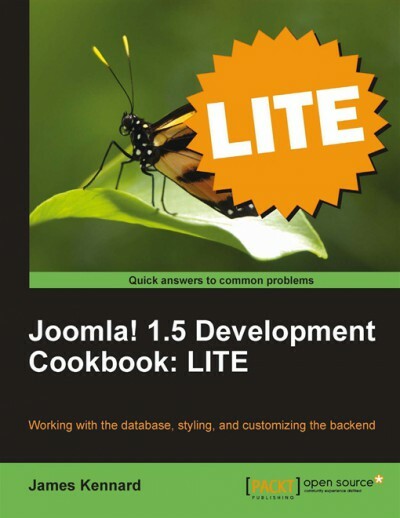 This book has been designed with specific Joomla! development problems in mind, and it is expected that you are comfortable using PHP code to extend and customize Joomla!